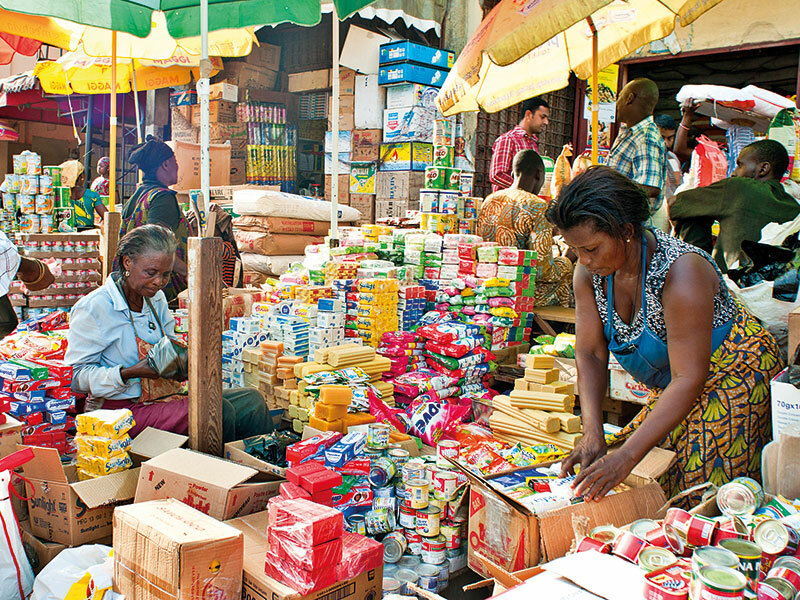 Small and medium-sized enterprises (SMEs) are the engine of growth in Ghana’s economy. They employ approximately 85 percent of the Ghanaian workforce and contribute an estimated 70 percent to the country’s gross domestic product. Put simply, SMEs are widely recognised as being a key driver of the country’s economic success and, as such, need to be supported as much as possible. The Microfinance and Small Loans Centre (MASLOC) is a microfinance apex body responsible for implementing the Ghanaian Government’s microfinance programmes, which are targeted at reducing poverty. The group’s mission is to help start-ups and SMEs expand their businesses through the provision of fast, easy and accessible microcredit. MASLOC also aims to enhance job and wealth creation throughout Ghana. European CEO spoke to Stephen Amoah, CEO of MASLOC, about the organisation’s commitment to developing SMEs and supporting Ghana’s entrepreneurs. What key successes have been achieved at MASLOC under your leadership? Upon my assumption of office in March 2017, a special task force was set up in all 10 regions of Ghana to assist in debt collection and hire purchase assets in arrears. As a result, cash and assets worth GHS 16m (€2.9m) were collected in March 2018, compared with GHS 6m (€1.1m) in 2016. Through tactful negotiations, MASLOC, together with key stakeholders, has established 216 district offices in a little over a year, with the aim of bringing microfinance to the doorstep of the less privileged. MASLOC has also undergone a restructuring process, including the establishment of a functioning internal audit department and an audit committee. This has tremendously improved procurement processes, which normally present a major challenge in Ghana. The process of deploying an integrated information and communication technology (ICT) system, including automated cards for our clients, is in an advanced stage. This has been made possible through a partnership with a software company that was funded by donors. Intensive education has also been undertaken to depoliticise MASLOC among political activists, who have presented the biggest challenge to the sustainability of the organisation’s operations in Ghana. How does MASLOC ensure the loans it provides are suitable and the businesses it supports have long-term ambitions? MASLOC loans are meant for people in the lower income group, particularly women and young people who are engaged in SMEs. There are 10 regions and 254 districts in Ghana. Our credit officers in these districts and regions perform extensive work to ensure that loan applicants fall within our target group and their underlying businesses are sustainable before loans are granted. The businesses that MASLOC supports have long-term ambitions, as most of the beneficiaries are young. Our market is also growing fast, supported by a wide range of raw materials and a quickly growing population. What are MASLOC’s plans for the future? MASLOC’s overarching plan is to grow continuously, to develop small businesses through the provision of sustainable microfinance, small loans and business services to Ghanaian entrepreneurs, and to take its rightful position as the premier provider of microfinance in Ghana. In the short term, all the districts, regions and head offices will migrate onto an integrated ICT platform, as MASLOC seeks to achieve competitive excellence in its operations and reach a wider clientele. My vision is to achieve competitive excellence by using cutting-edge technologies to provide affordable and assessable microloans to SMEs and start-ups in the remotest parts of Ghana. This will ensure the financial inclusion of this target group, which has previously been excluded from the traditional banking environment.